Durriya Kapasi is 29 year old writer, creative writing teacher, homemaker, tremendous cook, motivational speaker, spiritual aficionado and passionate reader. Reading books was one of her childhood hobbies which cultivated through time and circumstances to make her an author herself. Author of Neverfound Land, her second novel that is also a sequel of her first bestselling book Once Upon A Genie. She is an author with a very diverse perception for mystifying secrets of the unseen world that clearly observed in her first book and now also depicted in The Neverfound Land. Once Upon a Genie (OUAG)is her debut novel released in March 2017 by Delhi based publisher Half Baked Beans. The book observed fabulous response on Amazon with first batch of stock sold out in less than two weeks. Durriya’s special connection with OUAG is related with her life changing incident when she diagnosed with Hodgkin’s Lymphoma, a type of blood cancer. During that time she begins writing OUAG and finished half of the book. But due to harsh treatment of chemotherapy, Durriya left her dream aside to focus on her fight with cancer. After all ups and downs, Ms Kapasi came back with stronger and energetic spirit and re wrote ONCE UPON A GENIE. Somewhere in 2014, while doing nothing at home, Durriya came across a mobile application for readers and writers “Wattpad” She took interest in it and explored how users are writing their own books, publishing it online and also getting read by other users in a very interesting way. Durriya engaged herself on Wattpad community and wrote her first book “She’s Still my Sister” the whole book was written with the help of her (not so) smart phone. But the book was received moderately. The outcome boosted confidence in Durriya and she wrote another book “Lydia the Pet Communicator” and consecutively complied horror jokes and published it as a book named “Spooky Booky”. 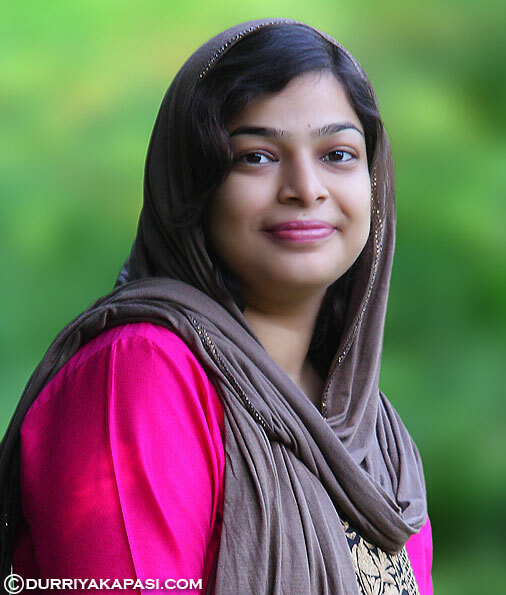 By her contribution to the community of Wattpad.com, Durriya was appointed as a Wattpad Ambassador, to look after many things to develop the community voluntarily. In mid of 2015 when Durriya was writing Once Upon a Genie, she got diagnosed with Hodgkin’s Lymphoma, a type of blood cancer. She spent nearly a year to come out of the deadly disease. 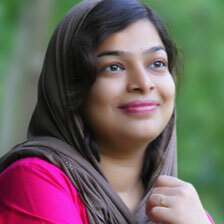 During the period of treatment and recovery, Durriya lost her writing flow and to some extent also her sensory ability. She didn’t lost hope in God and that was her only booster. On 5th September 2016, Durriya approached Half Baked Beans, a Delhi based publisher to publish “Once Upon a Genie”. The publisher found the work promising and decided to go ahead. Durriya was born on 15 December 1988 to Shabbir and Amina Kapasi, her father Shabbir Kapasi is an Optometrist based in Dar es Salam, Tanzania while her mother is a House Wife. After completing her education, Durriya married to Zaheer Abbas, a social media consultant in Udaipur, Rajasthan. The couple has a son named Muhammad Abbas. Durriya has two younger sisters Sakina and Farida who live in Dar es Salaam.